Apartment in Palermo Soho, Buenos Aires - Powder Blue ! Recently constructed 345 square feet modern apartment with great views in the heart of Palermo Soho. This modern 32 square meter apartment for rent in Buenos Aires was recently constructed to a high standard, located in a great block, it is well situated for not only the vibrant Soho area, but also the rest of the city, being a stone’s throw from an extensive travel network. 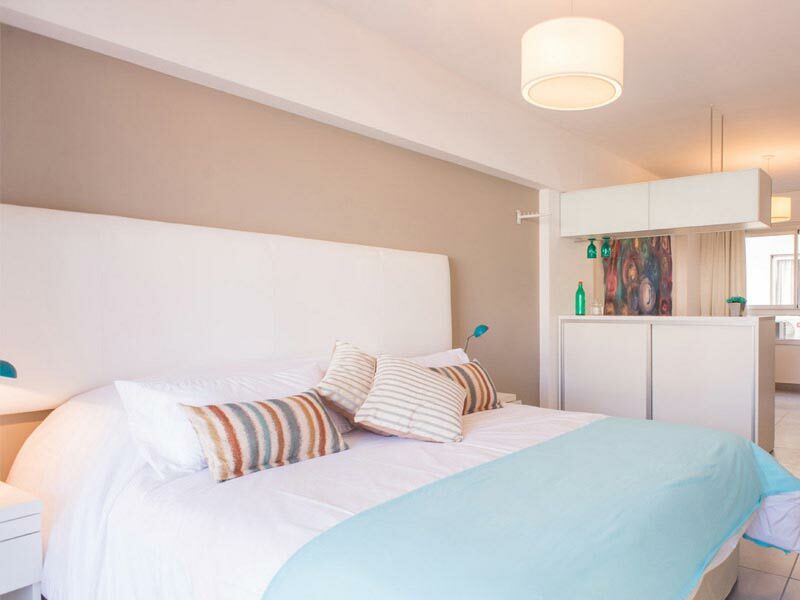 Colorful and cool, this studio apartment is a great base to explore the local neighborhoods from and immerse yourself in Buenos Aires life. 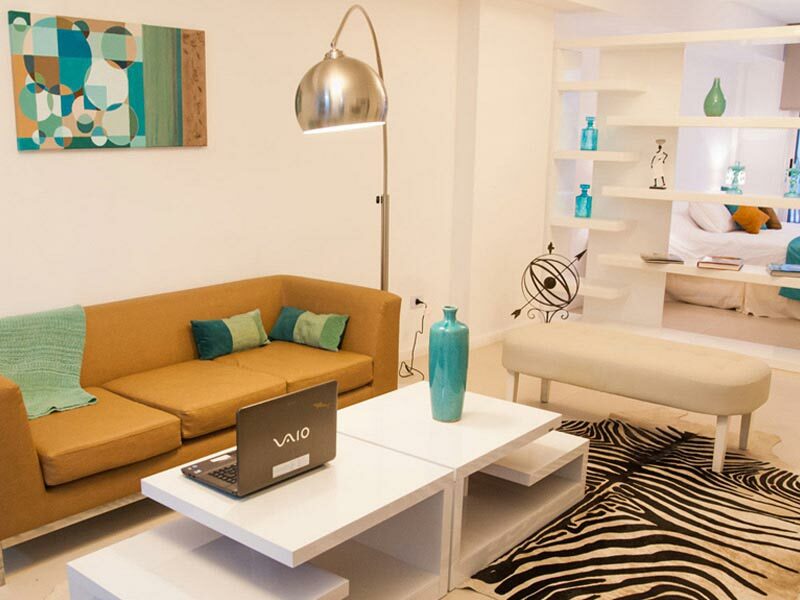 Powder Blue features an open plan kitchen and comfortable lounge seating, equipped with TV and Wi-Fi. The sleeping area has a queen size bed and is both light and airy, sliding doors open out onto the spacious private balcony with wooden furniture. The bathroom has a quality feel to it, normally associated with 5 star hotels. The building benefits from swimming pool, 24 hour security, well equipped gym and common laundry room. This apartment represents excellent value for money compared with restrictive hotel rooms, with plenty of space, quality feel, weekly maid service and great location.